End video can be skipped with after you've seen it the first time. 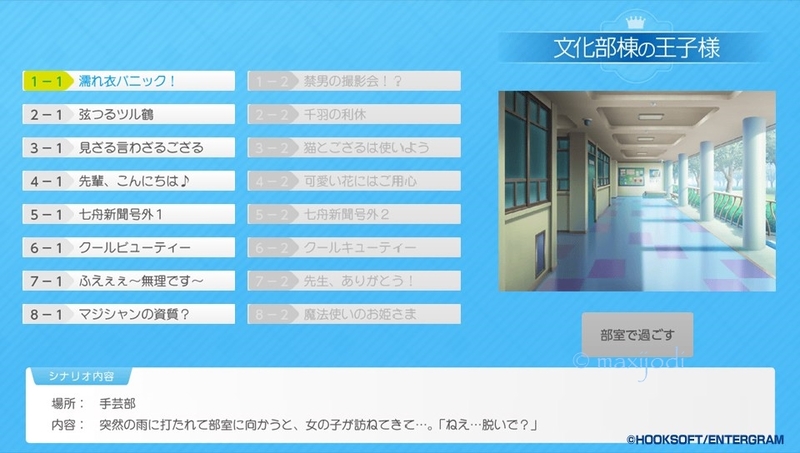 Note that you can't make saves at character choice screen or at map screens or at choices screens. So you have to make saves before you reach those screens. Character choices are counted from left to right. 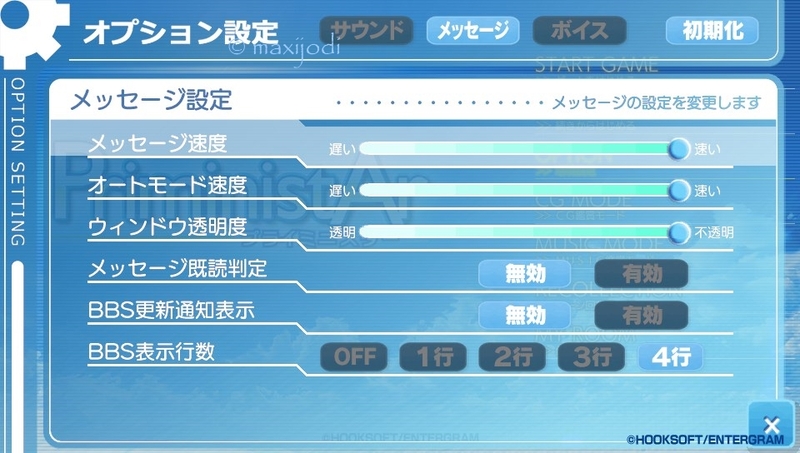 Map choices are counted from left to right and then up til down. Then play all 4 epsiodes. No choices to make. 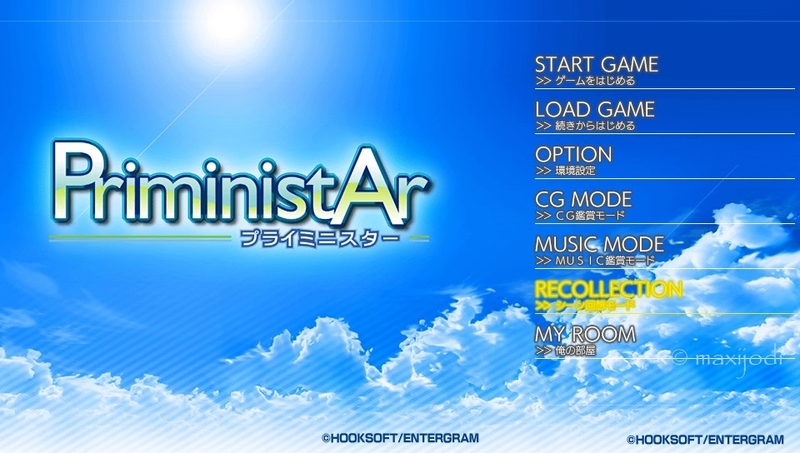 Back at main menu go to "My Room" and choose the second girl from left. 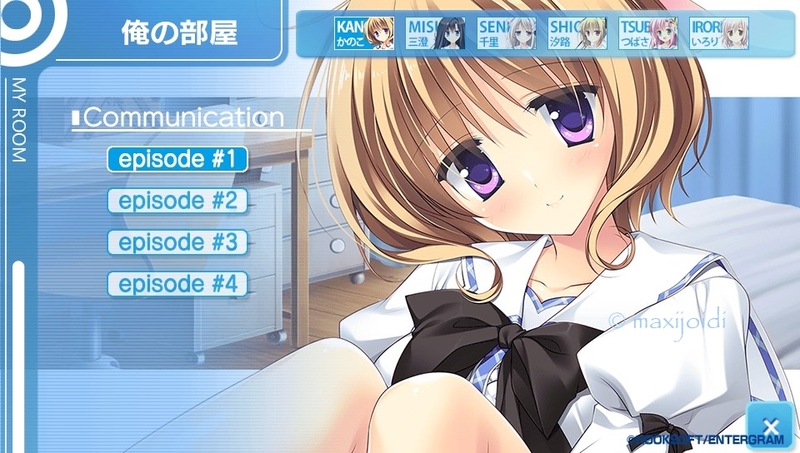 Back at main menu go to "My Room" and choose the third girl from left. 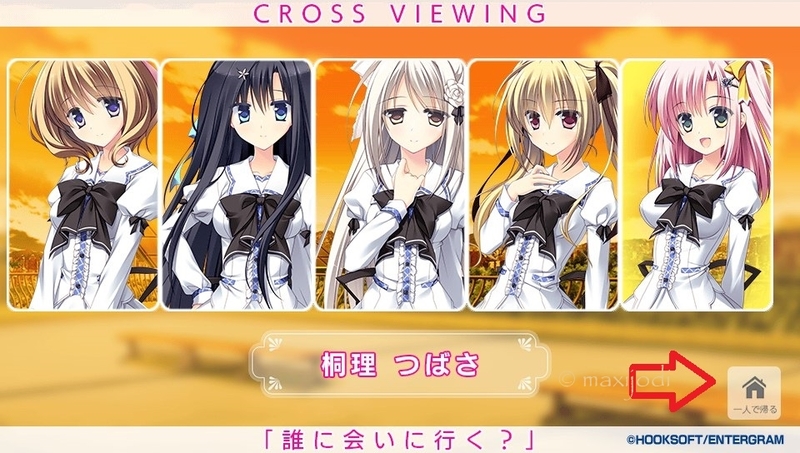 Back at main menu go to "My Room" and choose the fourth girl from left. 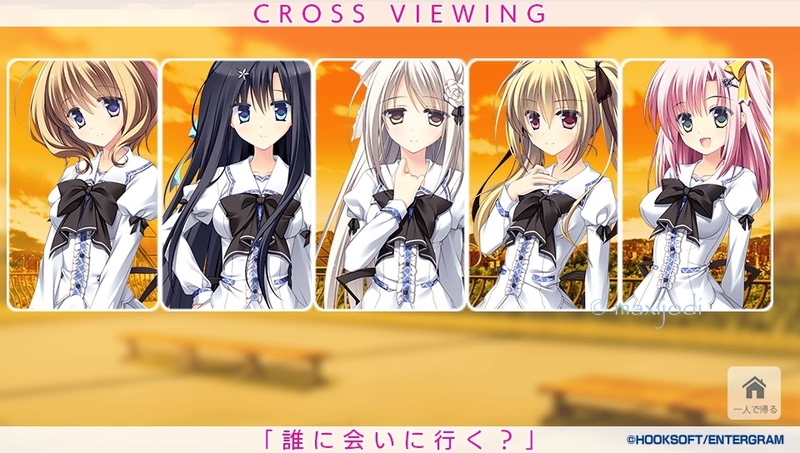 Back at main menu go to "My Room" and choose the fifth girl from left. 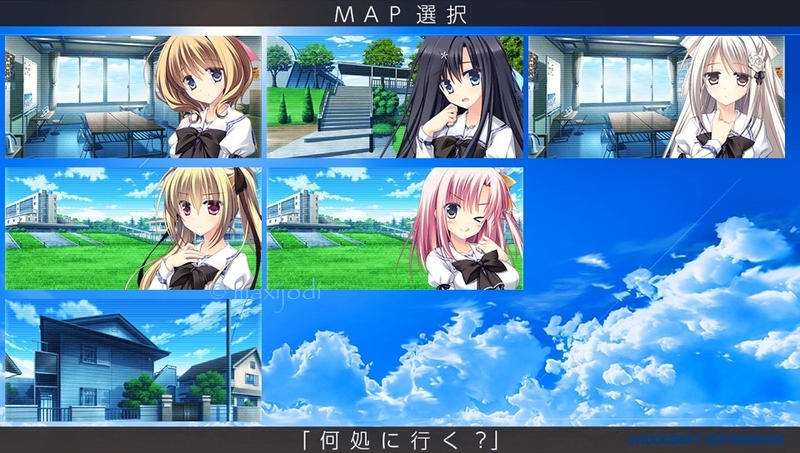 Back at main menu go to "My Room" and choose the sixth girl from left. Then play both epsiodes. No choices to make. at the next choice chosse whatever you want and after this quit to main menu with the last (bottom) option at inGame menu. Choose 2 times left option (yes) to save system data when quitting. 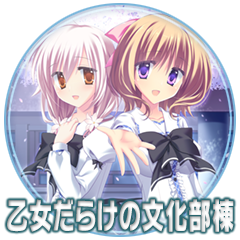 Back at main menu go to "CG Mode"
Quit to main menu with and choose "Music Mode"
Note: If you don't get the trophy after you went to music mode, go back to main menue leave the game at the start screen for a while til a music video starts. After that got back to music mode and the trophy will pop. Thanks to Cactuarism2 for this hint. Enjoy and feel free to leave comments. For the entire music list, the one at the bottom right most corner is for listening to the music video which auto play when you leave the game at the start screen for a while; was tearing my hair out when I realised that I was missing one music (and the trophy for it). I never had to hear to the music or to see a music video. Only had to go to "Music Mode" and the trophy poppped. But maybe I left start screen for a while while writing the guide. I added this, thank you. This cleaning up part of the guide isn't neccessary. I got my plat without doing the second part of it. The first part may not be needed either so I suggest going for the music and cg trophies before cleaning up, no sense in doing it if u don't have to. Guide works perfect! Thank you!